“Échange de bonnes pratiques entre professionnels du travail de rue de U.E ». KA2 – Coopération pour l´innovation et les bonnes pratiques, avec Erasmus+, organisé par Ceska asociace streetwork, z.s. (CAS) avec l´Espagne (ANNF), l´Autriche (Caritas), Pays Bas (Bvjong) et Allemagne. Project meeting – in the Czech Rep., all project partners 1 representative. Setting the concrete topics/themes of the good practice study visit (radicalization, refugees, economy migration, unemployment of young people). Preparing of “manual” for writing report from the good practice study visit. 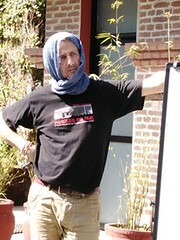 Preparing “manual” for good practice workshops. Setting criteria for selection of participants of the study visits. 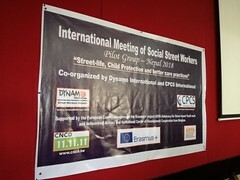 Good practice study visits in national NGOs (exchange/reciprocal jobshadowing; example: 1 visit of the Czech streetworkers in the Netherlands, then NL streetworkers in the CZ – and the same with the other project partners) at least 8 visits altogether. (Number of the visits depends on the final list of project partners). It is expected that all partners will have to organise reciprocal study visit. Publication on good practice – collection of study visit reports. E-book. Project meeting – in the Czech Rep., all project partners 1 representative. Feedback, evaluation and conclusion.